Gazprom recently announced that the price of natural gas for Ukraine will increase from USD 268,5 to USD 385,5 and even 485,5 per thousand cubic meters (UAH 4239,8-5339,6 based on official exchange rate of National Bank of Ukraine as for 1 of April, 2014). Thus, the price of natural gas imported from Russian Federation increased by 44%. 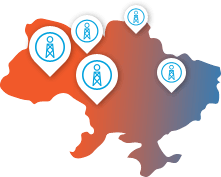 As a result, the government of Ukraine made a decision to raise natural gas tariffs for all categories of consumers and their gradual increase to market prices. UAH 4020,00 per 1000 cubic meters for industrial consumers. Thus, starting from the 2 quarter of 2014 the prices for state financed organisations and industrial consumers will be equal. The mentioned figures do not include VAT, 2% special fee for natural gas, as well as transportation and distribution tariffs.